My husband's out of town for work again, so I won't get to celebrate with him this year. I'll be giving him his goodies when he gets back in a little over a week though. Jude worked on his Valentine's for his class and we ended up making cake pops as the treat he'd hand out. Even though I had never made them before, they seemed easy enough, but were more time consuming than I expected. Not perfect, so sprinkles help in covering some of that up! I followed this tutorial here which has the recipe and everything. One tip I do have is to place the glasses of candy melts in a crockpot and put it on the lowest setting ('warm' in my instance). It kept my candy melts from not needing to be microwaved again and again. I think I spent more time tying those dumb little ribbons (that I thought were so cute) onto each one than I did dipping each one lol. Jude didn't have school today (staff development day) so they celebrated a day early at his school. I made the boys some quick goodie bags at home, with some candies and a mini heart shaped box of chocolates. 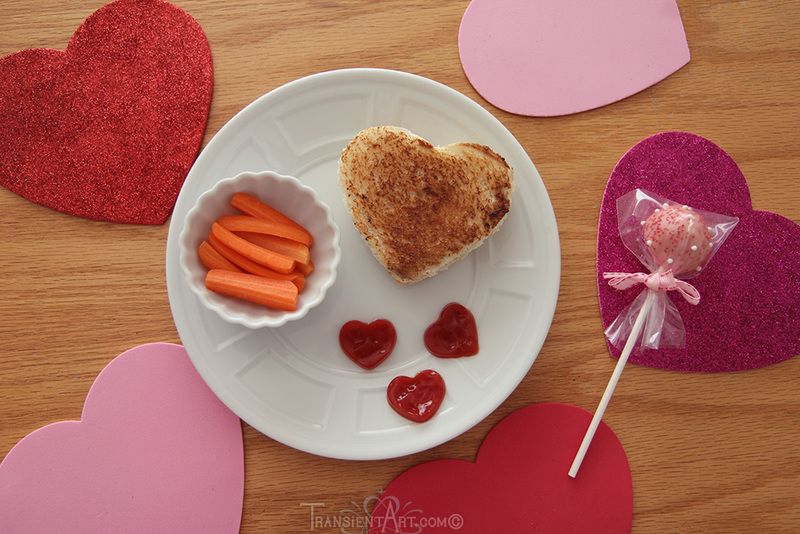 For lunch: heart shaped grilled cheese and a cake pop afterwards. 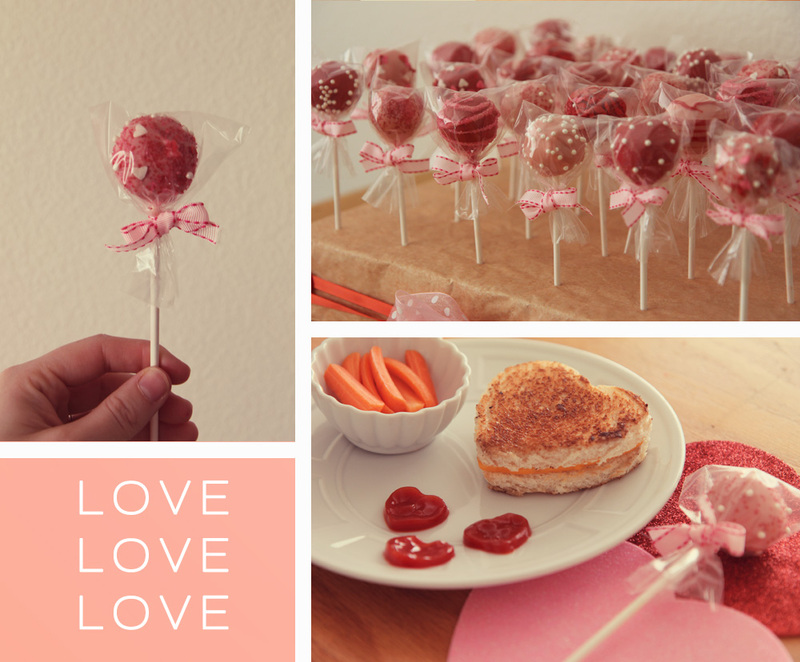 The little ketchup hearts were a fun touch, you can find out how to make them here. I'm personally waiting for the chocolates to go on sale tomorrow haha. Flowers too. Tonight, I'm going to be cutting into some fabrics for a small quilt contest with a friend. =) I love the fabrics from the Scrumptious line and had to include the tiny flowers in my mixture. It's a nine patch theme, so I'm still working on a design that I hope could be a winner!